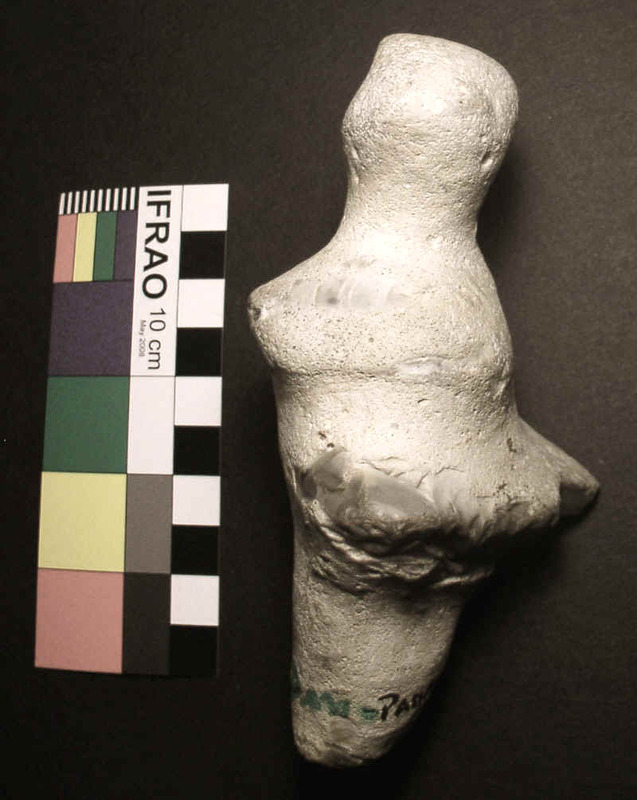 Click HERE to read a laboratory assessment of this artifact. 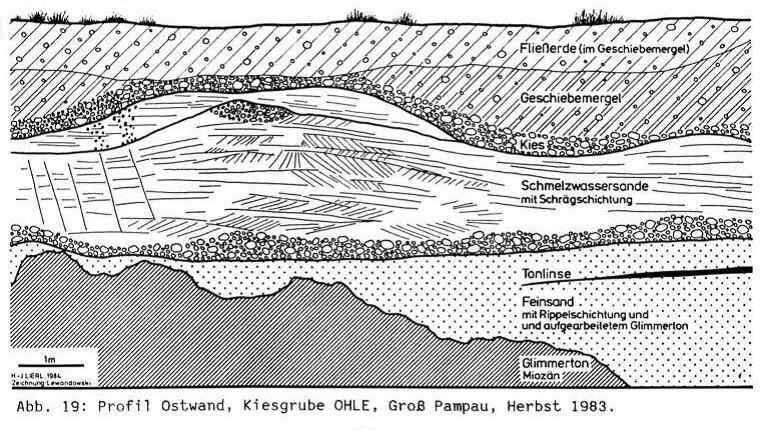 Since 1984 Ursel Benekendorff has devoted much of her life to the recovery, preservation, and analysis of artifacts from glacial till far beneath the current terrain surface at Groß Pampau near Hamburg. 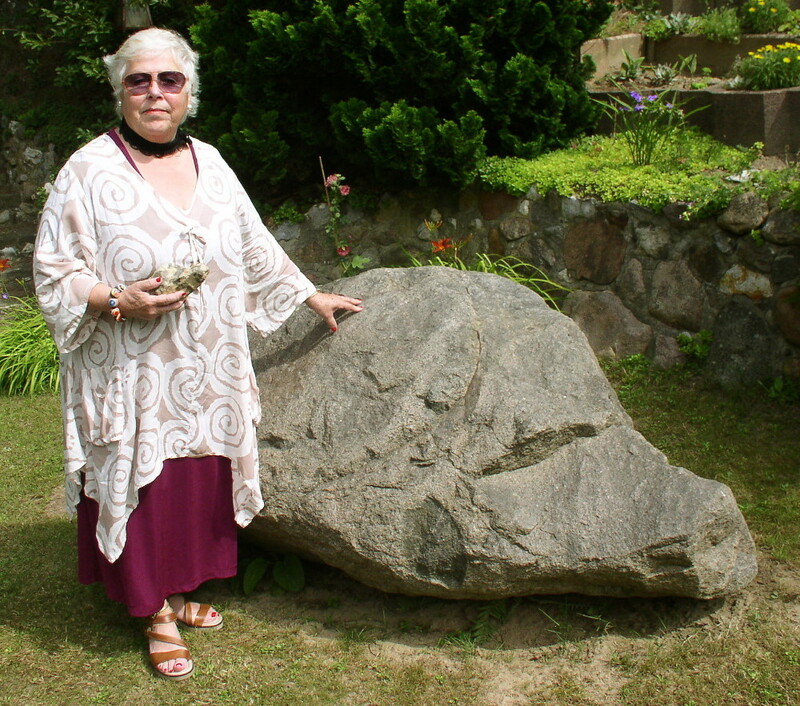 In 2015 I photographed a few of her Figure Stones and Acheulean handaxes, some of which have now been conclusively confirmed as artifacts by several professional archaeologists and by Dr. Eric Law, petrologist and professor of geology, who examined the flint "Venus" figure at Muskingum University in Ohio. 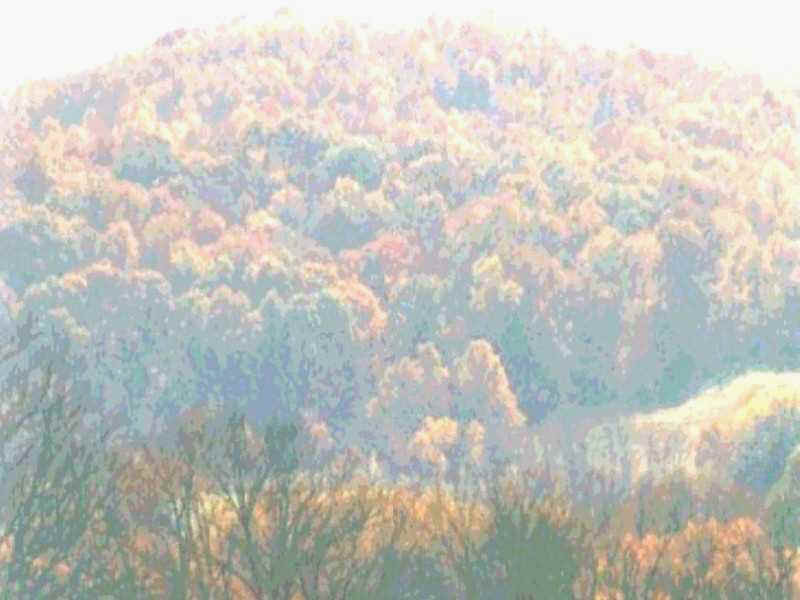 Click image for closer photos and spectrum charts. In 2017 I returned to Germany and photographed several more of the artifacts, concentrating on tools and physical evidence of human manufacture, both in these and in the Figure Stones. These photos are in the (slow) process of being added to those from 2015. 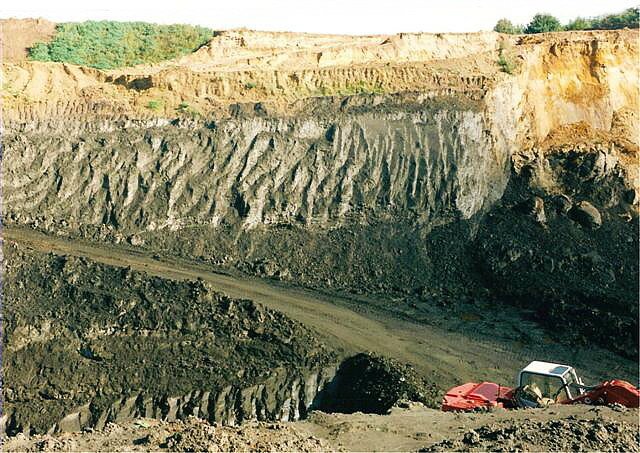 The find site in the 1980s. 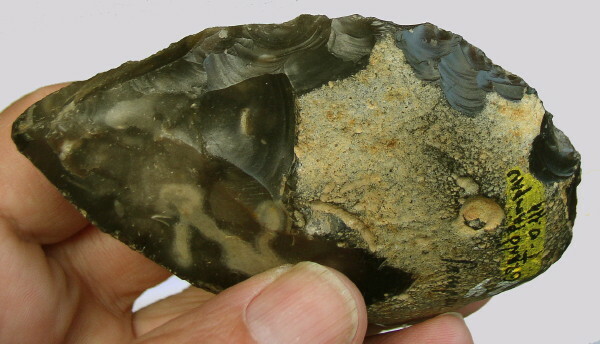 Doctorate-level European flint experts, looking at high-resolution photos of the finds, have identified the flint material of which the artifacts were manufactured as having originated in Denmark, Sweden, and the Baltic Sea area. Conservatively assuming the most recent artifact material to have been transported by the Weichselian ice sheet and mixed with that from the Saalian, it seems reasonable to think, at least tentatively, that the artifacts' age overall may range from early Middle Palaeolithic to Upper Palaeolithic, or very roughly 300,000 to 25,000 years BP. The morphology/typology of confirmed artifacts in the assemblage seems reasonably consistent with this. If some of the artifacts have been transported by the Elsterian ice sheet, these could be Lower Palaeolithic, or as old as 500,000 years. Altogether, this has interesting implications for the long-held belief that humans and/or their predecessors did not venture as far north as Scandinavia. No claim is made that this was a formal controlled archaeological dig, being more of a salvage operation (and a rather heroic one at that). The evidence is simply presented for further consideration and investigation, which it clearly deserves. 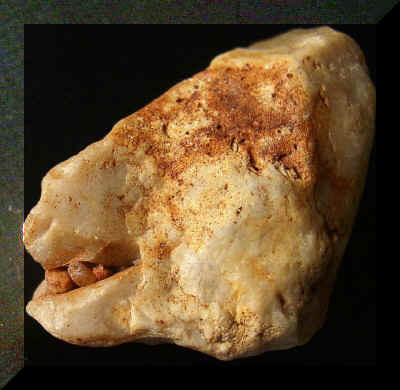 Above, a verified Acheulean-style (Middle Palaeolithic?) 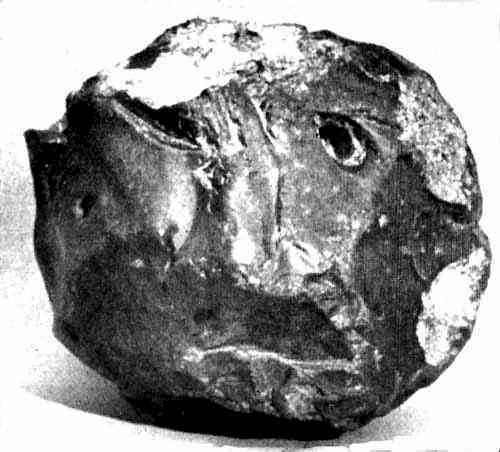 handaxe from the site, made of flint likely having originated in southern Sweden. Click HERE to see some of the artifacts. 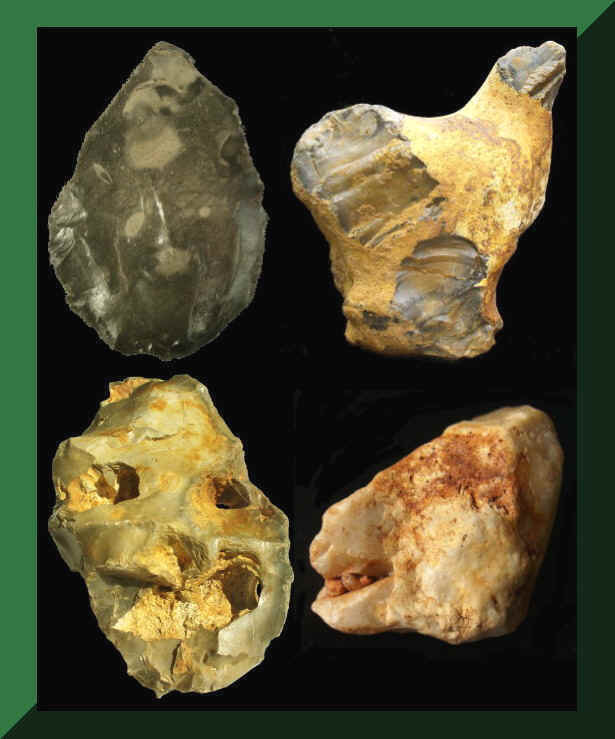 Kurt Kocher in Hessen has, for many years, been collecting and assessing lithic material very similar to that presented on this website, notably from the Battenberg/Pfalz area. 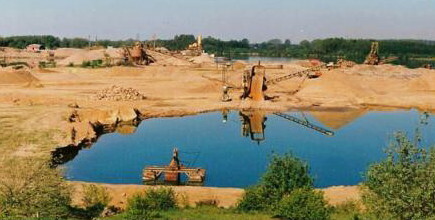 Since 2004 Hans Grams in the Rheinland has been discovering artifact material of the kind presented on this website. This is now shown on his website, along with his own interesting hypotheses.